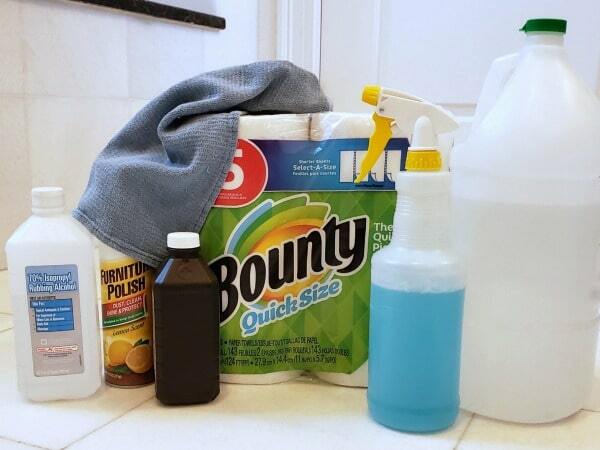 Special thanks to Bounty for sponsoring today’s post and for making it easier to keep my home clean. I created this Free Printable Cleaning Supplies List to make it easier to keep everything I need for cleaning on hand. Cleaning is already my least favorite chore and it’s even worse when I don’t have the right supplies readily available. Plus, my daughter is about to head off to college. Unlike my son, who manages to keep his apartment “clean”, with paper towels and dish soap, I think my daughter will be looking for this supply list after she moves out of the dorm and into an apartment. Another reason I was inspired to create this list is that I recently had to raid my kitchen’s paper towel supply to wipe down the bathroom faucets. Yes, I keep a separate supply of paper towels for cleaning (or try to). I can’t carry a roll into the bathroom that will be later used in the kitchen. 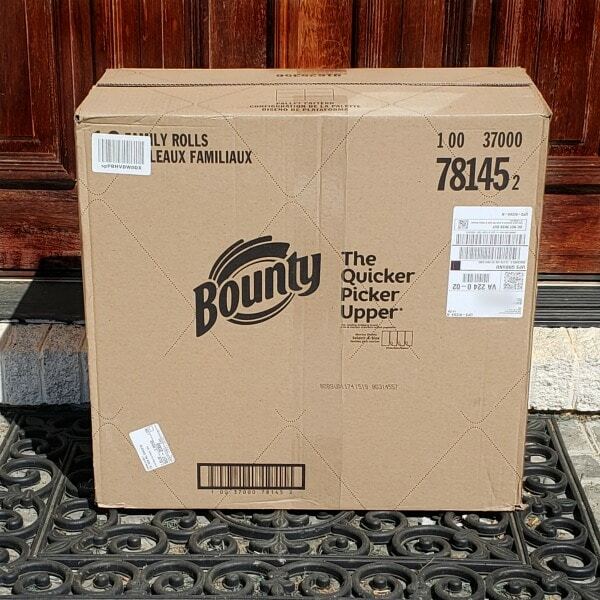 My personal favorite is the New Bounty Quick-Size Paper Towels. Use the code 5BOUNTYQUICK for $5 of and apply another $2 off coupon at checkout to save a total of $7! This 16 count pack is the equivalent of 40 Regular Rolls so there’s no risk of running out of paper towels anytime soon. Why Bounty? Aside from being twice as absorbent as another leading brand, it comes in Select-A-Size so you can use as little or as much as you want. And this pack contains 80 sheets more per pack (about ten exra days of paper towels for the average family). Which Cleaning Supplies Do You Need? Throughout the week, I use a lot of different items to clean my house. I use different cleaners and tools to clean my kitchen than I do to clean the living room. I put EVERYTHING I use on the cleaning supplies list. In general, the items on my cleaning supplies list fall into three categories: tools, cleaners, ingredients for cleaners. I’m not a crunchy mom, mostly because I just don’t have the time or energy to ban all non-natural products from our home and make everything from scratch. I do, however, work in safer, healthier options wherever I can do so easily. 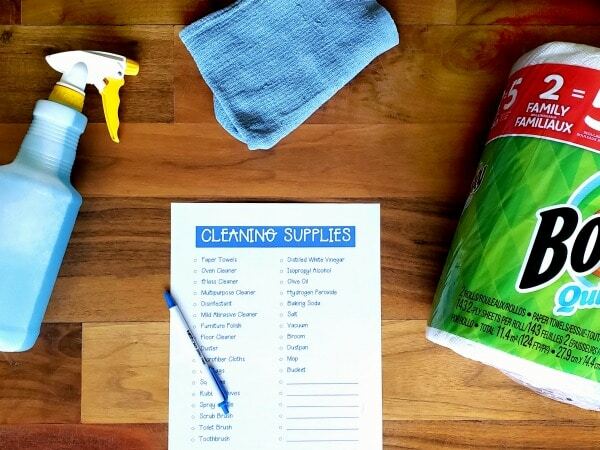 I’ve added everything I’ve listed above to my printable cleaning supplies list. I also left several spaces for you to fill in any items you use that aren’t already listed. 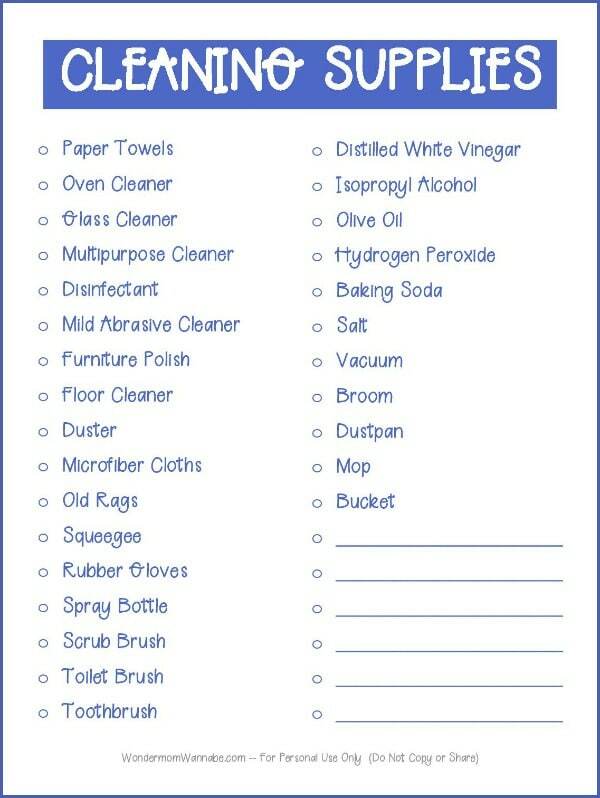 Just click the image below to download your free printable cleaning supplies list.